The future of medical billing is as bright and busy as billers want to make it. As various portions of the Affordable Health Care Act take effect, professionals and health care facilities will be serving an influx of new patients, requiring a variety of billing related services. In this informative article, physical therapist and electronic medical record (EMR) specialist, Nitin Chhoda, examines services offered by medical insurance billers (MIB). Certified medical insurance billers provide a variety of services, from coding and transmitting reimbursement claims to accounting and tracking accounts, along with full practice management services. Much depends upon the work environment. Those who work in medical practices and facilities may be tasked with simply coding and transmitting claims electronically. Medical insurance billers working from home may choose to offer a la carte services to meet the specific needs of the client. Tracking accounts receivable and payable, and pursuing unpaid amounts owed by insurance companies and individuals are also part of a biller’s duties. Most medical insurance billers think exclusively of medical practices when offering services, but any healthcare provider or facility is a potential client, from small clinics to practices with multiple clinicians. Hospitals, nursing homes and mental health professionals offer other options. Often overlooked sources of clients include dentists, pharmacies and social workers. Services can be adapted to meet individual requirements. Certified medical insurance billers always seek to bill accurately and quickly to increase the cash flow for their clients. They may also take on a multitude of other duties, including making referrals and recommendations within the field. Some medical insurance billers have taken their prior experience in marketing and other professions and applied it to billing to assist practitioners promote their products and services. Medical insurance billers have their finger on the financial pulse of practices. They can determine when a client’s finances are faltering and offer consulting services. Some medical insurance billers specialize in services to physicians just starting out who can’t afford an in-house biller, as well as medical professionals who are closing out their practice. Others have found their niche by working with rural providers who don’t have access to medical billing services or by handling non-insured patients. 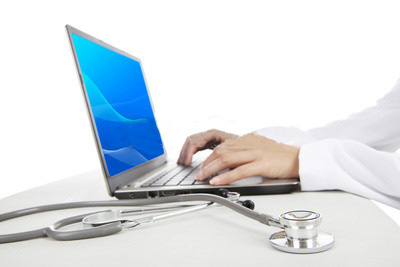 EMRs are an essential element for medical insurance billers, allowing them to perform their tasks quickly and efficiently, with clean claims that approved the first time. Built-in functionalities meet HIPAA security standards and EMRs provide alerts if claims contain potential problems or if a security issue is present. An EMR also provides medical insurance billers with portability, allowing them to offer services from multiple locations and take the job to the client. The software systems are capable of producing graphs, reports and charts to keep practitioners informed of how they fare financially. Multiple opportunities exist for medical insurance billers and those who are willing to offer specialized, customized services are indispensable. Billers who offer the little “extras” are in high demand, but medical insurance billers should never lose sight of their most important goal – quick and accurate billing that produces a steady monetary flow for clients.